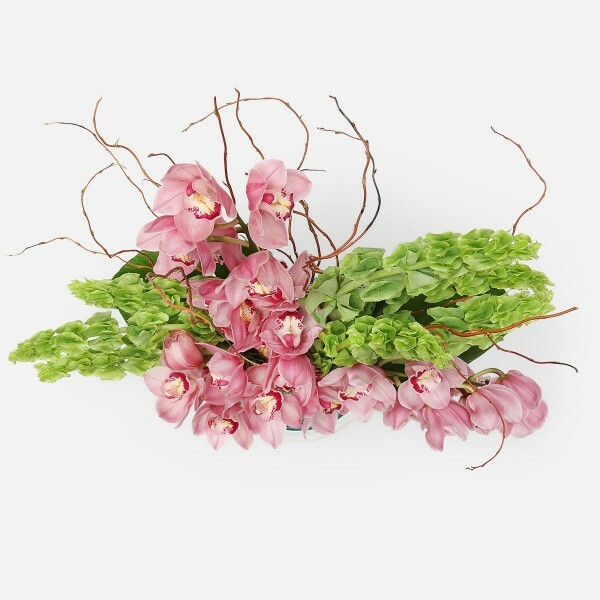 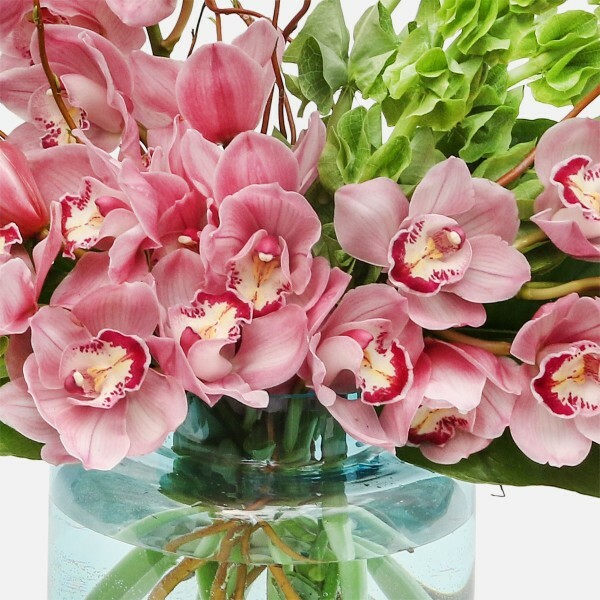 Overflowing cymbidium orchids will add a pop of paradise to any room! 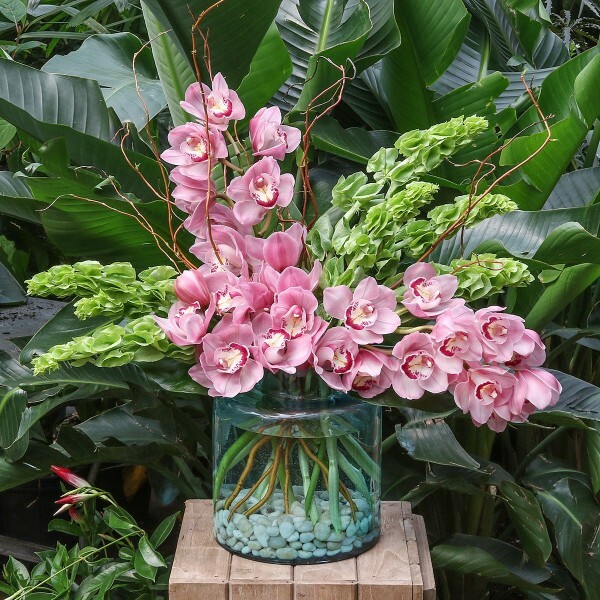 Pop of Paradise is a stunning arrangement of pink cymbidium orchids and green bells of Ireland, topped off with long curly willow in an aquamarine vase. 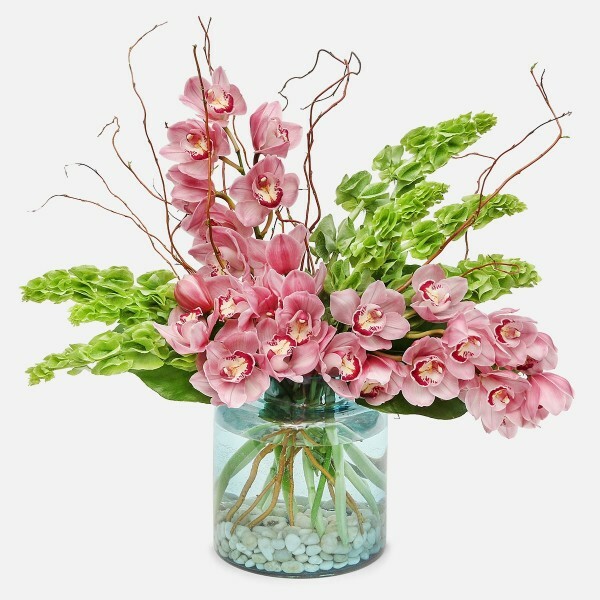 Send a gesture of tranquility and tenderness with this tropical favorite.